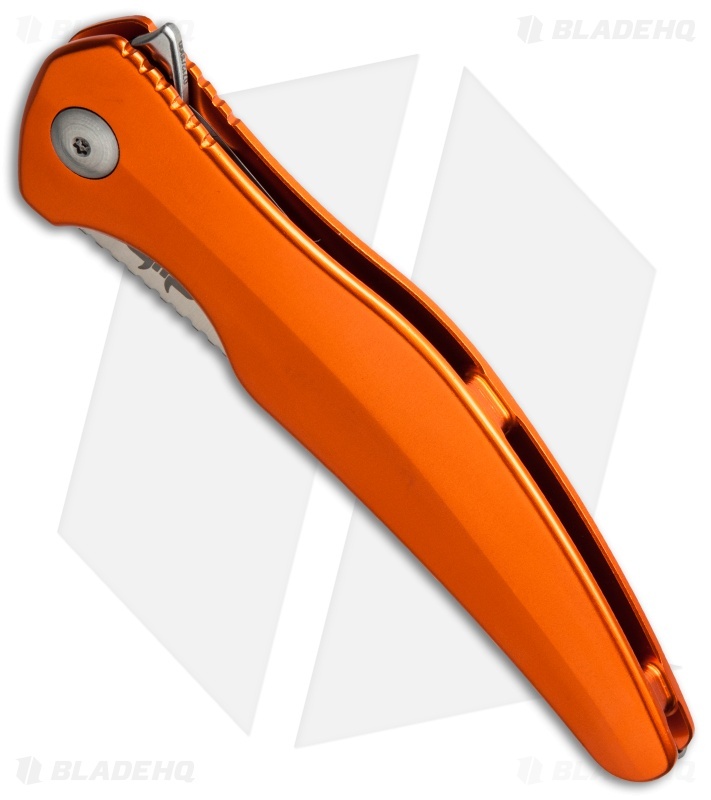 This model has an orange anodized aluminum handle and satin finished D2 tool steel blade. Got this knife for Christmas, and immediately fell in love with it. 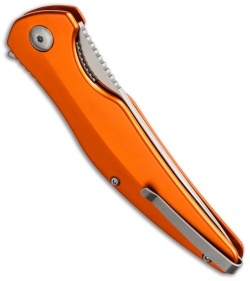 The blade comes shaving sharp, and the flipping action is like no other. 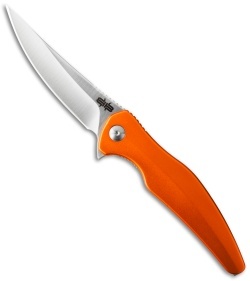 There is no blade play what so ever. If you are on the fence of getting this knife, get it.